The mesquite pods are gone and the spring greens are still a few weeks away. In mid-winter there isn’t too much to gather in the desert, but barrel cactus fruits are ripe and ready for gathering. They are easy to collect, just a twist will remove them from the plant. Watch out for the spines. The scientific name Ferocactus, from the word “fierce” is certainly appropriate. The fruit tastes light and lemony and the shiny black seeds are easily dislodged. My book Cooking the Wild Southwest includes a number of recipes for the fruit from cake to salsa to marmalade. 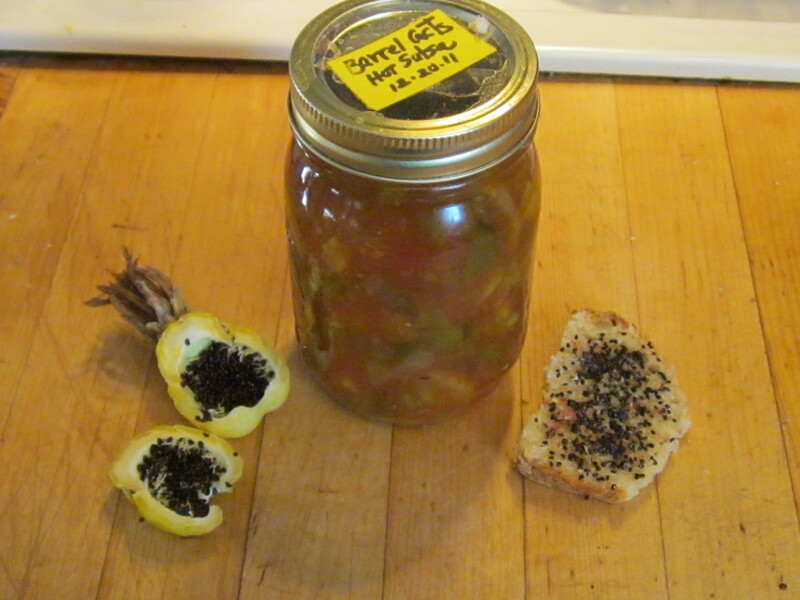 But it was very exciting to me when before a recent presentation at Native Seeds/SEARCH a woman came up and presented me with a pint of homemade barrel cactus salsa of her devise (photo below). I was thrilled because she had really gotten my message: read my book to learn about the plants and how to prepare them, look at my recipes, and then invent something of your own! We all have favorite family recipes and using these healthful (and free) desert plants can be as simple as substituting one of them for something similar. 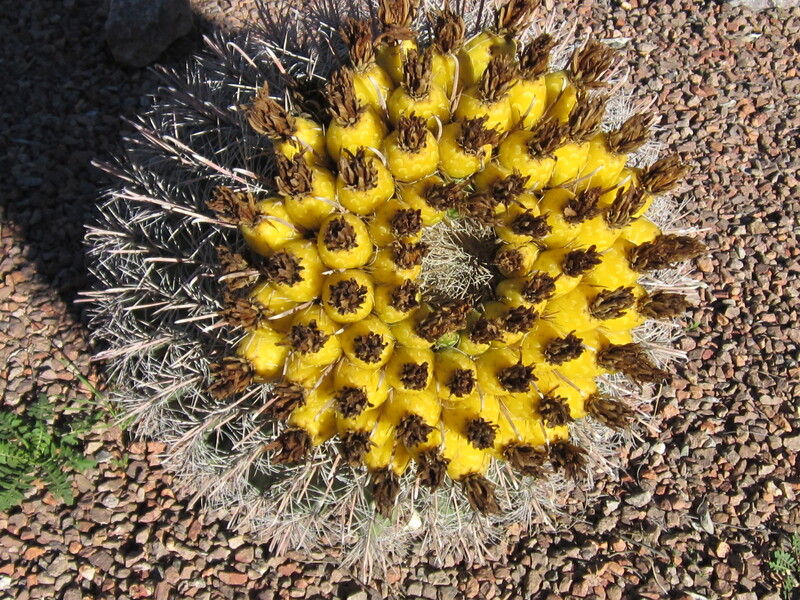 The seeds of the barrel cactus are great to use for snacks. Grind them with other spices (I suggest mustard and cumin seed and black pepper) and sprinkle them on pita bread or regular bread. Great to accompany a salad for lunch. Get ready for the spring gathering season. Cooking the Wild Southwest can be purchased at your local independent bookstore or ordered online.